Ask anyone what their favorite cuisine is, and you'd, more often than not, always hear one or two (or more) say that theirs is Italian food. Sure, it's carbs on carbs... on carbs, but we still can't deny the fact that it's something we usually crave for from time to time. While there are already a good number of restaurants out there where you can try these dishes, make sure to always keep Parmigiano Ristorante Pizzeria on your list the next time you're craving for some good and authentic Italian dishes! 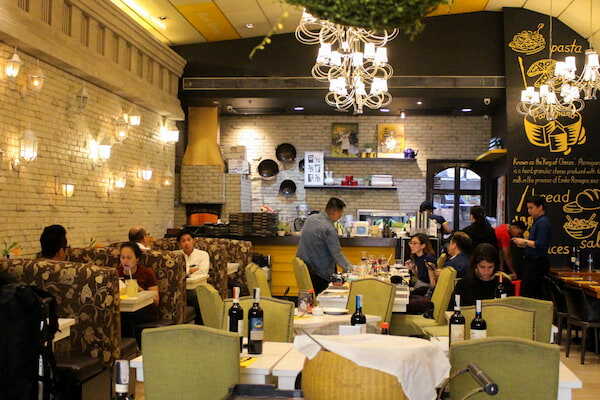 The restaurant has been in Resorts World Manila for years now, but it was recently revamped and redesigned to become more of a casual place where people can enjoy a glass of wine with their pizza of choice any time they want. Now, its exteriors resemble the restaurants you would find in Italy, and with a touch of green and yellow. 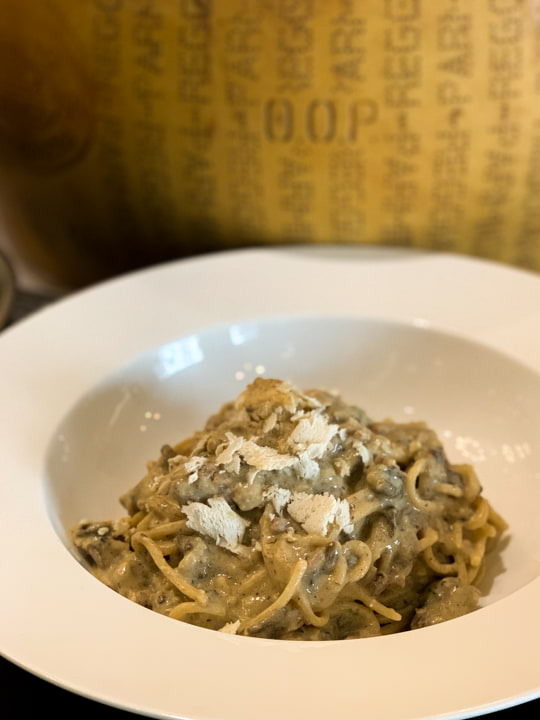 Parmigiano also introduced a new set of dishes and improved on their classic ones, so whether you're already a fan of the place or you just happen to find yourselves craving for Italian food when in the area, there's still something new to try from them. Aside from the slices of bread they serve as soon as you settle down, their Antipasti Fritti (P440) is a must try for starters. 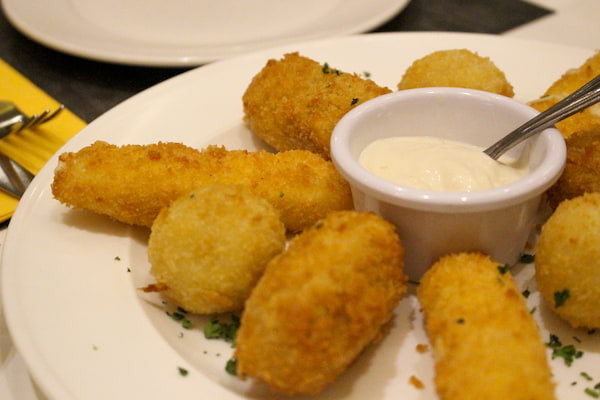 It's a crispy and deep-fried dish which has Italian rice balls, potato croquettes, and mozzarella bites. 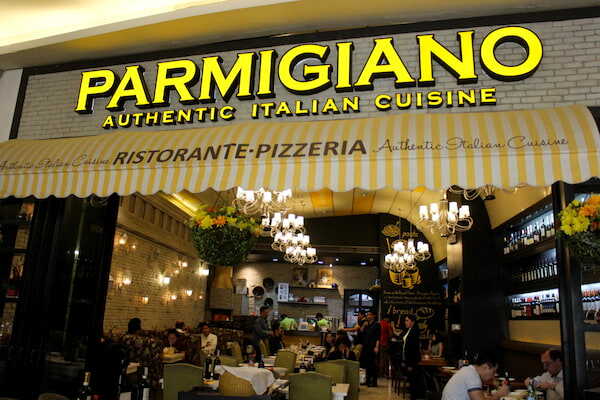 Being an Italian restaurant, Parmigiano serves different pasta dishes that go from fresh pasta like lasagna and ravioli to spaghetti and fettuccine dishes. Their bestseller, though, is the Pasta Del Parmigiano (P520), a cream-based pasta with ground sausage and mushroom. This pasta is also prepared on the cheese wheel, so if you're one who wants their pasta extra cheesy, here's something you should definitely order! Like tomato-based pasta better? 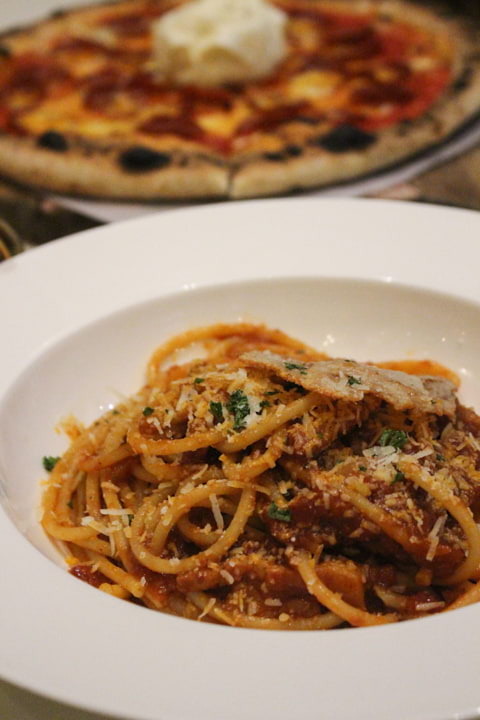 One of their newer dishes is the Bucatini Al Amatriciana (Single: P395/ Sharing: P690) and it's cooked in tomato sauce, based on guanciale (an Italian cured meat made from pork jowl) and pecorino cheese. Was Pasta Del Parmigiano not enough to satisfy the cheese-lover in you? Try their Lasagna 5 Cheese which has probably everything you can ask for a good lasagna. 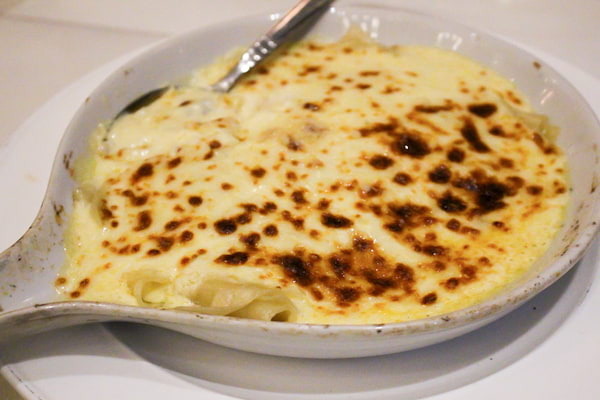 Just like its name suggests, this dish has layer upon layer of mascarpone, taleggio, gorgonzola, Parmigiano Reggiano, and pecorino cheese, all baked to one cheesy perfection. 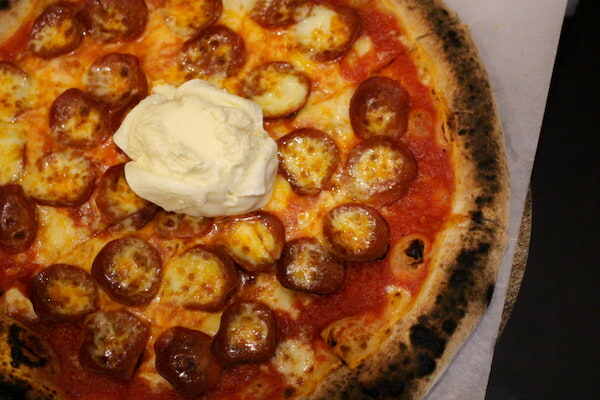 Another one of the newer dishes is their Pepperoni E Burrata (P595), a tomato-based pizza topped with pepperoni, mozzarella, and burrata cheese. If you want to try out their bestsellers, we recommend getting the Margherita Di Buffala for a classic one, and the 6 Cheese (Yes, it's topped with gorgonzola, mozzarella, pecorino, Parmigiano Regiano, scamorza, and taleggio!) for those who can't get enough of cheese. Parmigiano also serves well-loved meat dishes that's already good enough for sharing because of its huge portions. 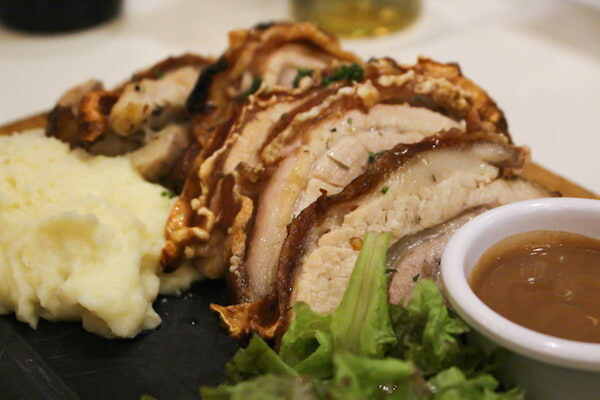 One of the must-tries is their Porchetta (P875), a classic Italian pork roast dish, and what gets you coming back for more of this dish is how the meat is tender and the skin is crispy even if you don't really eat it right away. 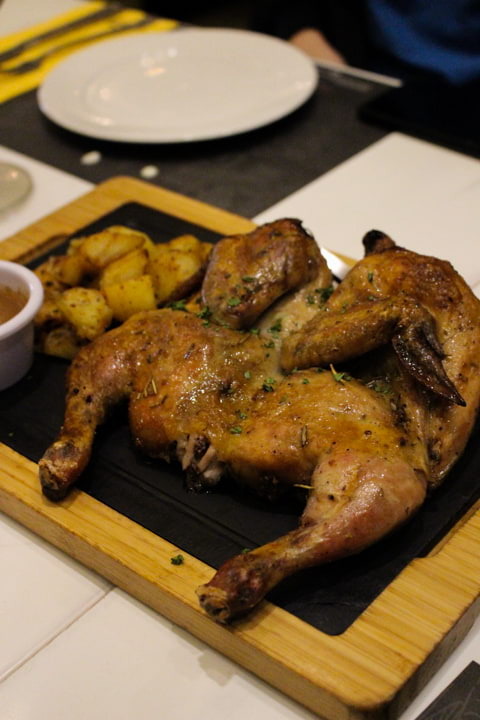 There's also the Pollo An Mattone (P740), which is basically boneless chicken grilled under a brick so it's crispy and evenly cooked. It's also served with a side of baked potatoes that are just as flavorful as the chicken itself. What's a good Italian meal without dessert right? Parmigiano has everything from brownie skillet to pannacotta. 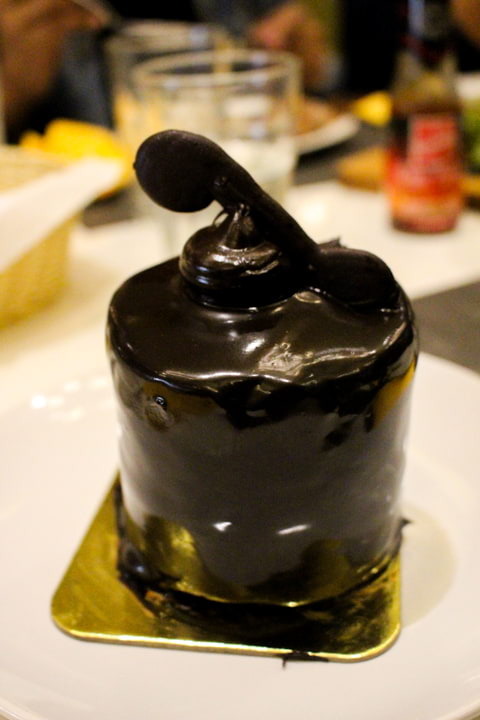 Out of all the choices they have, the classic Tiramisu is a must-not-miss, as well as the Tre Cioccolati (P375), which is rich and decadent with all the layers of chocolate it's made of. 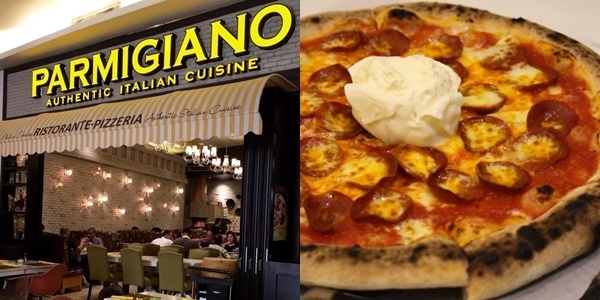 Parmigiano Pizzeria Ristorante is at 2nd Level, Resorts World Manila, Newport Mall, Newport Blvd., Newport City, Pasay City. They also have a branch in Molito Complex in Alabang. For more information, you may check out their official Facebook and Instagram pages. Homestream image taken from Parmigiano's Facebook page.